A Google security researcher, 'James Forshaw' has discovered a privilege escalation vulnerability in Windows 8.1 that could allow a hacker to modify contents or even to take over victims' computers completely, leaving millions of users vulnerable. The researcher also provided a Proof of Concept (PoC) program for the vulnerability. Forshaw says that he has tested the PoC only on an updated Windows 8.1 and that it is unclear whether earlier versions, specifically Windows 7, are vulnerable. Forshaw unearthed the bug in September 2014 and thereby notified on the Google Security Research mailing list about the bug on 30th September. Now, after 90 days disclosure deadline the vulnerability and Proof of Concept program was made public on Wednesday. "This function has a vulnerability where it doesn't correctly check the impersonation token of the caller to determine if the user is an administrator," Forshaw wrote in the mailing list. "It reads the caller's impersonation token using PsReferenceImpersonationToken and then does a comparison between the user SID in the token to LocalSystem's SID." "It doesn't check the impersonation level of the token so it's possible to get an identify token on your thread from a local system process and bypass this check. For this purpose the PoC abuses the BITS service and COM to get the impersonation token but there are probably other ways." The PoC contains two program files and some set of instructions for executing the files which, if successful, finally result in the Windows calculator running as an Administrator. According to the researcher, the vulnerability is not in Windows User Account Control (UAC) itself, but UAC is used in part to demonstrate the bug. Execute AppCompatCache from the command prompt with the command line "AppCompatCache.exe c:\windows\system32\ComputerDefaults.exe testdll.dll". If successful then the calculator should appear running as an administrator. If it doesn't work first time (and you get the ComputerDefaults program) re-run the exploit from 3, there seems to be a caching/timing issue sometimes on first run. "We are working to release a security update to address an Elevation of Privilege issue. It is important to note that for a would-be attacker to potentially exploit a system, they would first need to have valid logon credentials and be able to log on locally to a targeted machine. We encourage customers to keep their anti-virus software up to date, install all available Security Updates and enable the firewall on their computer." 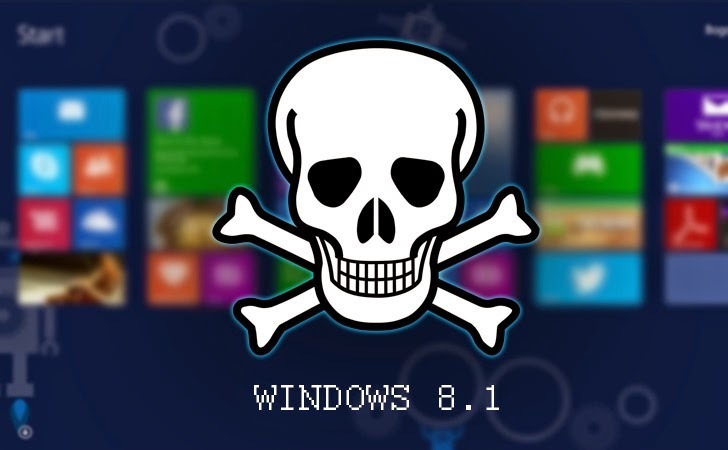 At the time of posting this article, there's no patch available and all Windows 8.1 systems are vulnerable to hackers.